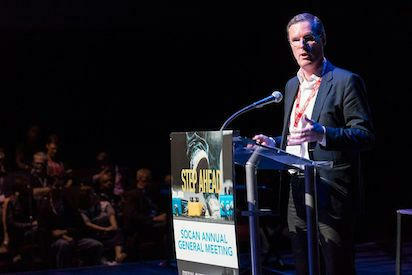 Two weeks ago, performing rights organization SOCAN made the major announcement that it was merging with reproduction rights organization SODRAC. Now, for the first time in Canada, a single organization – SOCAN – will be able to license, track, and distribute all royalties for both music performing rights and mechanical rights. To explore the details of the deal and what it’ll mean for the organizations’ members, as well as the greater music rights industry in Canada, we caught up with SOCAN CEO Eric Baptiste. Eric discusses the nature of the merger, how it came together, and why previous efforts to bring performance and reproduction rights organizations in Canada closer together had failed. He also explains how the deal reflects the fast-changing nature of tracking performances and reproductions of songs in the streaming era, and then follows us down a rabbit hole of far-reaching questions about the global music industry.